Let’s be honest, when it comes to heading out for a night on the town, we all have our old, trusty go-to (*ahem National). However, unlike a fine wine, bars really don’t get better with age. 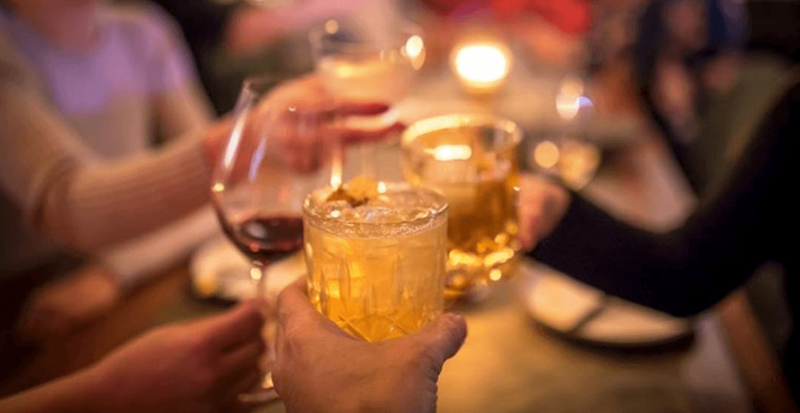 As you get older the crowd only gets younger – funny how that happens – which is why it’s refreshing to see some new watering holes popping up around Calgary. From dive bars to speakeasies to cocktail bars to breweries, we like to keep a relaxing contrast of bougie and dingy flowing strong throughout the city. Check out these exciting nine awesome spots on the scene, and prepare for your weekend to get turned up an extra notch or two. This barroom riffs playfully on a classic dive bar from back in the day. It’s cozy, quaint, and filled with the classics, including some throwback hits, best of the 90s décor, a feature potato chip of the week, and some of the games that got you through you’re childhood reimagined in a drinking game format – Connect 4 shots, anyone? Come here to unwind, relax, and kick back with a bevy in your corporate Calgary uniform or tracksuit fresh from the gym. They begin slinging drinks for happy hour at 3 pm (until 6 pm), and they keep them flowing well into the night. Prepare to get #StannedUp! El Furniture has become a mini-chain across the country, with bars scattered throughout BC, Ontario, and Quebec, though this location is the first to land Alberta. This is the type of spot you go to pregame and end up staying for the entire night. It’s your premium hangout bar, with good drinks, cheap food, and even better company – what more could you ask for? Oh hey, it’s the new popular kid on the block! This new games bar has taken over the bar scene in Calgary, and it’s currently the hottest place to find yourself on a Friday or Saturday night. Escape the outside world and put your games hat on as you hustle through all your favourite arcade games as you sip on a Kamikaze. Don’t worry, it will be an UN-FOR-GRETA-BLE experience. Calgary runs deep in the roots of this distillery, as it’s their mission for “Calgarians to connect with local culture, art, cocktails, and of course, each other.” Set up as a 1920s lounge-meets-moody modern cocktail bar, Confluence Distilling is a fantastic spot to hit up with your friends and have a chill yet classy evening. Prepare for a boozy ride as you work your way through their well-crafted gin and vodka cocktail menu, and even take a tour around the facility where you can learn about the process while tasting their gin in its different stages. Don’t expect elaborate and showy cocktails, rather their master mixologists create rich, bold, and flavourful classics with a Confluence twist. The sister to Modern Steak, Bar Modern is a distinguished space that seems as if it was plucked out of the nightlife of Manhattan. This meat-centric cocktail bar is located in the historic Imperial Bank Building on Stephan Avenue and serves up classic cocktails that pack a punch in an energetic and illuminated space. A self-declared purveyor of fine dining, Yakima is a true culinary destination, serving up exotic concoctions and fine dishes inspired by Aboriginal, Asian, and North American cultures. Adorning their extensive cocktail menu are local spirits, many wine choices, and a solid Canadian craft beer selection. Inspired by a yakitori-ya in Osaka, this Japanese BBQ and sake bar will transport you back to the motherland for the evening. Embodying the phrase “live, long, sake,” through their ingredients, flavours, and methods, their retro and modern mixed décor gives off a trendy bar vibe that wouldn’t be out of place within the heart of Toyko. With a progressive and playful Japanese cocktail list, over 40 premium sakes to choose from, and a menu filled with various yakitoris, you’ll likely want to make sure you come both hungry and thirsty. This hip, boujee Asian-infused brassiere in Mission offers an extensive list of handcrafted libations and a creative take on traditional dishes. Chef Shaun enjoys blending flavours with his extensive cooking background, Japanese training, and passion for the Chinese culture. His menu reflects the common Chinese tradition to “share a meal amongst friends.” On weekends they feature a variety of live music and, for those with a boozy craving, they offer a late night menu with delicacies that will surely hit the spot. The Establishment is the newest contender in the barley belt, and like with every good brand, there is always a good story. This spot began with a group of friends living under one roof, brewing homemade concoctions. Their home was unfortunately damaged in the 2013 flood, but their friendships certainly were not. They have moved on from that home, which they named “The Establishment” and given the name to their brewery, which pays tribute to those memories they shared in years past. Specializing in barrel-aged beers, they offer a robust porter, a citrusy New England Pale Ale, a floral Pils, and much more. Guests can enjoy their enticing brew, along with delicious snacks such as a famous cheese bun from Glamorgan Bakery in their beautifully designed tap room complete with warm wooden finishings and modern edgy accents. Kristy is a Freelance writer and Communications Specialist. She is always the first to jump on a new adventure that will likely lead to an entertaining tale, adding to the collection for her future sassy memoir. With notebook packed and Instagram Stories ready to go, she is always looking for the next opportunity to jet-set to a foreign land and pen the next chapter of the #RunAwayWriter.